Samsung’s said to be working on a smart speaker, but no one knows that much about it. A couple of reports have now come in revealing a bit more about the device, including its name. Samsung might be calling it the Magbee. The moniker has been spotted by 91mobiles and IceUniverse in a couple of different trademark applications in Europe and the US. AndroidHits recently discovered a patent filing for the Magbee on the Korean Intellectual Property Office (KIPO)’s website. 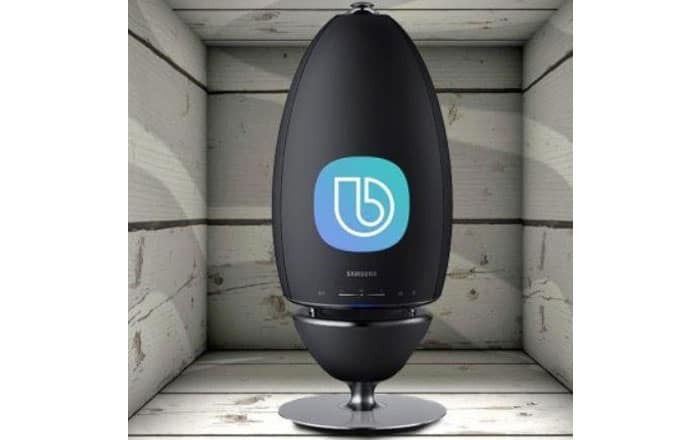 As per the listing, Samsung describes the product as “SAMSUNG Magbee Magnetic beetle, a sleek wireless dial wheel.” The logo features a beetle as well, though we’re not sure why Samsung would want to associate its speaker with an insect. Perhaps Samsung is planning to place a dial wheel at the top of the Magbee so users have the option to manually increase volume or activate commands. Otherwise, the product is expected to function just like the Amazon Echo, Google Home, and Apple HomePod, answering questions wirelessly and playing music with AI smarts. Bixby will probably be at the center of Magbee. Samsung subsidiary Harman will likely have some involvement as well, possibly in the audio department. Nobody knows for sure what it’s going to look like or when it’ll be making its debut. August 9 is one possibility, arriving alongside the Galaxy Note 9, Galaxy Watch, and Galaxy Tab S4. Another possibility is at some point between August 31 and September 5. That’s when the IFA 2018 will be taking place, showcasing the best of tech. The Samsung Magbee could hog the spotlight there. The company will have a tough time competing with the likes of well-established players like the Echo. Plus, Bixby isn’t as popular as Siri or the Google Assistant. It’s unclear if Samsung will allow all Android and iPhones to be compatible with the Magbee or just restrict it to Samsung devices.